Where is all the Paleo baby food? I was at Paleo f(x)™ 2016 with my partner, Joe Carr, and we were talking about starting a family someday. I got all fuzzy and maternal and said, “Let’s go find the baby stuff”! …But we didn’t find anything. I asked Paleo f(x)™ CEO Michelle Norris where the baby stuff was. She responded, “I ask myself that every year”. I was shocked. We began to search, and what we found was scary. Not only was there no Paleo baby food, but nearly all commercial baby food is high in sugar. We did a study of 265 flavors of leading organic baby food pouches, and found that 84% contain 5 or more grams of sugar per pouch, and 64% have more than 10 grams. That may not sound like a lot, but it’s substantial if you adjust for size difference between a baby and an adult. If you use a multiple of ten (15-pound baby to a 150-pound adult), 5 grams of sugar for a baby would be like an adult eating 50 grams, which is the equivalent of a 16oz soda. 100 grams of sugar seems even more ridiculous, but that’s the reality for over half of those pouches. Yes, it’s mostly fruit sugar, but fructose plays a similar role in the body when it comes to insulin response and inflammation. So I had to wonder, do babies need all this sugar? Can babies even eat Paleo? I dove into blogs and books, watched Chris Kresser’s Healthy Baby Code, read Weston A Price’s The Nourishing Traditions Book of Baby and Child Care, read the USDA’s Infant Nutrition and Feeding, and more. I learned that unsurprisingly, yes, babies need a nutrient-dense diet. I imagined babies would need roughly the same macronutrients as adults, but that’s not true. Take a look at the macros in breastmilk: fat makes up 45-55% of the calories in breastmilk, with carbohydrates coming in at a close second. Breastmilk contains a relatively small amount of protein. According to the USDA, a 7-12 month old baby needs about 30 grams of fat / day, which may not sound like a lot until you account for the weight differential. If you use our multiple of ten, that would equal 300 grams of fat for an adult. Whoa! That’s 1.5 packages of Kerrygold butter! Yum. If babies need that much fat, most commercial baby food must be pretty fatty, right? Wrong! Our study found that less than 1% contained more than 2 grams of fat. Those fat sources were primarily dairy with some avocado. I was also surprised that less than 4% of the pouches contained meat, which is a great source of healthy fats for infants. And NONE of the ones containing meat disclosed the source, so it likely comes from animals raised in pens and fed organic grain. Will babies eat meat and fat? So we tested it. We cooked up purees of vegetables plus high-fat, pasture-raised meats and fed them to babies all around Austin. The result was overwhelmingly successful! Even babies that had been fed those sugary pouches were happy to eat our food. Of course, we had to find the right combinations (FYI- babies did NOT like beef and broccoli). 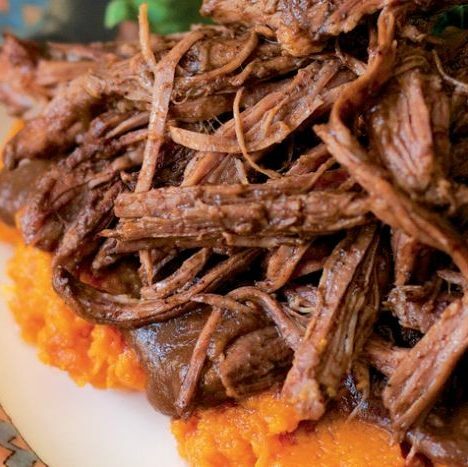 But with a slightly sweet starch like sweet potato or butternut squash, they scarfed down the fatty, meaty goodness. First, skip the baby food full of fruit. I know! I know! The pouches are super-convenient! And my little one loves them! Take a deep breath… fruit isn’t all bad, and I’m certainly not here to villainize it. From a nutrition perspective, some fruits contain high levels of vitamins and antioxidants. Just make sure to balance fruit with fat and protein. 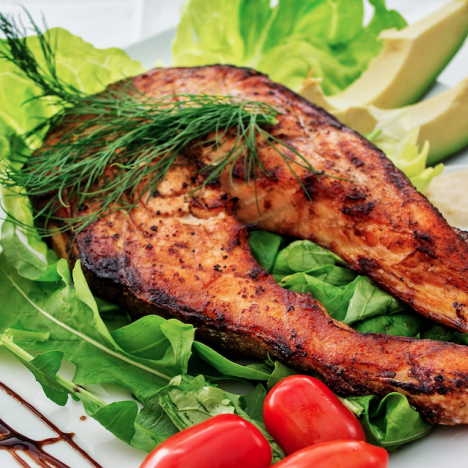 My best advice is to check the nutrition facts and read the ingredient lists – choose the lower-sugar / higher fat / higher protein options to maximize nutrient-density and minimize fillers like beans, grains, or dairy. Most commercial pouches fall into the category of hyperpalatable processed foods, so of course kids love them. At (a weighted) 100 grams of sugar each, I’m sure they taste great. By now, we all know the damage sugar can do: leaky gut, meltdowns, immune impairment. Got a little one that always seems sick or melts down regularly? Try adjusting their diet to include more fat and less sugar. How do you switch to Paleo baby food? First of all, fat tastes good to babies. Any kid who’s stuck their finger in the butter knows that. I’ve found that getting little ones to eat high-fat purees is a cinch. Choose free range chicken thighs, higher fat percentage grass fed ground beef, and fattier cuts of pastured pork. Throw it into your high-speed blender with some water or bone broth. For a more carbohydrate-rich meal, add some well-cooked veggies. If you’re using lower-fat meats, add some fat with olive oil, avocado, coconut oil (if tolerated) or grass fed dairy (if tolerated). In many cultures around the world, parents ween their babies using pre-masticated foods, just like a mama bird. Yep. I just said that. Chew on a little piece of meat and see if baby will take it. It might sound gross, but it can work. Love nerding out on baby nutrition? Click here to download the free Baby Nutrition and Quick Start Guide I co-wrote with Dr. Sarah Ballantyne of ThePaleoMom.com. It goes into a more detail about micro and macronutrients, introducing new foods, and includes recipes for making your own balanced baby meals. Mommy-brain is real, so it’s also a super-easy, quick read. Why is healthy baby food so important to us? My mom was vegetarian when she was pregnant with me, thinking that was the healthiest thing. She didn’t know that my body doesn’t tolerate wheat or dairy. I was born early and got my first of many ear infections and rounds of antibiotics at 2 weeks old. I spent my childhood with a compromised immune system and sometimes severe abdominal pain. During my rebellious high school years, I started experimenting with drugs, but not the fun kind. I tried every type of antacid / constipation / diarrhea medicine I could find. In 2010, during another ear infection and round of antibiotics, my stomach hurt so much that I couldn’t even drink water. I went to the doctor and she gave me a proton-pump inhibitor to take for 2 weeks and go back for a check up. At my checkup, I thanked my doctor and said that my stomach had stopped hurting. I was getting ready to leave when she stopped me and told me to wait while she wrote a refill. Confused, I asked how long I had to take that medicine. She said, “every day for the rest of your life”. WHAT?!?! I was only 33 years old. I panicked and called my dad who suggested I read the book he had given me, Mark Sisson’s Primal Blueprint. I read it, and it made sense. Thanks to dad’s love of Amazon, a copy of Robb Wolf’s The Paleo Solution also showed up on my doorstep. I sped through it and was convinced. Over the next several years, I started eating cleaner and cleaner, cutting out all grains, beans, and dairy, and adding in more nutrient-dense vegetables and bone broth. Now I’m off all medicines and have a clear understanding of how certain foods affect me. I even quit my corporate job in manufacturing to begin coaching people on how to transition to a Paleo diet. My partner Joe grew up un-diagnosed with high-functioning autism (formerly called Asperger’s syndrome). He had BIG energy, taking over classrooms and friend groups. He alienated both kids and adults everywhere he went. They called him ADHD, but the concentration drugs never helped. He was constantly in trouble at school and bullied on the playground. He also had extreme digestion problems, was overweight, and had a constant stomach ache. Being a picky eater, his diet consisted of mostly nachos and canned ravioli. This childhood experience left him passionate about personal growth and changing the world for the better, especially for children. He began a career in youth services, working for various nonprofits before starting his own nonprofit youth program that taught hands-on projects, community building, healthy living and social justice. He also became a certified life coach, working with other people with autism and their loved ones to harness their unique gifts. 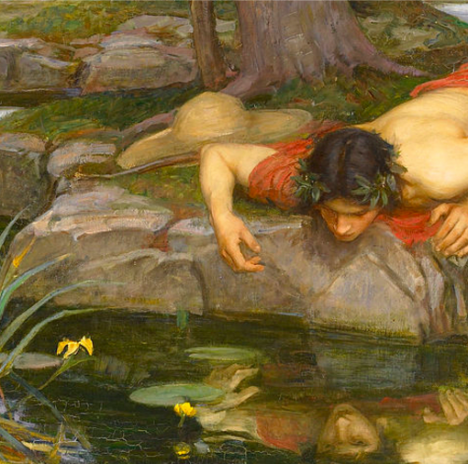 I introduced him to Paleo after he had experimented with veganism, GAPS diet, and candida cleanses. The Paleo diet has dramatically reduced his anxiety, healed his digestion and skin, improved his focus, and (much to my satisfaction) inspired him to begin lifting weights. He also educates the autism community about the importance of gut health. That all leads us to where we are now. 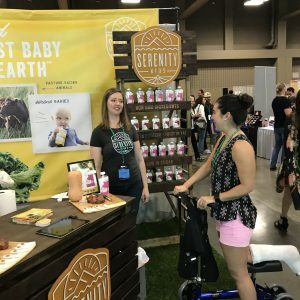 Creating the first (well, second…thanks breastmilk) Paleo baby food blended my passion for nutrition and science, with his mission to make the world better for children. But neither of us had ever run a food company, so we got a LOT of help. 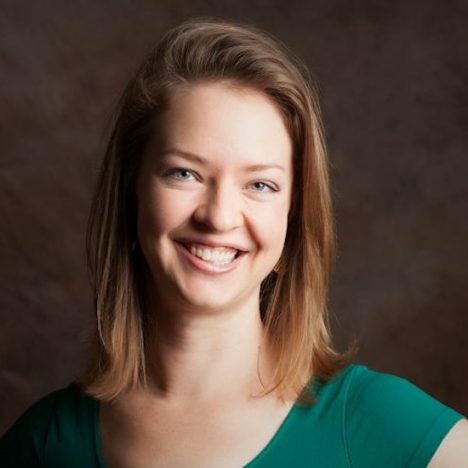 Taylor Collins, the founder of EPIC Provisions, became our first advisory board member, and was later joined by Robb Wolf and Dr. Sarah Ballantyne, all of whom have been incredible resources. We figured out the manufacturing process. 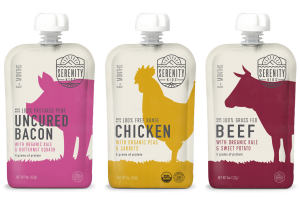 It’s expensive to make high-quality, nutrient-dense purees in baby food pouches, especially if they contain pasture-raised meats from small family farmers, but we were confident that parents would pay more for higher quality food. 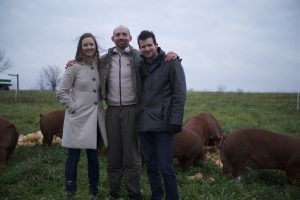 We connected with a farming co-op in Missouri and visited the farms to ensure our meat comes from responsible farmers. We were blown away at how much love and care these farmers put into their animals! Our pig farmer said “If I die and come back, I want to come back as one of my pigs. They live a spa life!” The regenerative agricultural movement inspired us to commit to buying meat from farmers who are using their herds to improve the planet. There have been a million magical moments all along the way. We’re super grateful for the support from our advisors and from Keith and Michelle at Paleo f(x)™. 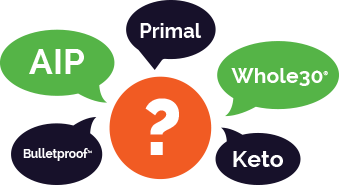 We had our big reveal to the community at Paleo f(x)™ 2017, where we had our first trade show booth. It was such a privilege to give birth to our company in the same place it was conceived the previous year! We look forward to launching the first of many products in the future, and doing our part to transform the baby food industry and end childhood diabetes. Looking to have a similar health business journey? Join us for Health Entrepreneur f(x)™, the one-day immersive mastermind built to help health-centered entrepreneurs create the business of their dreams. If you want to learn how to run a successful business in the health-promoting industry, then this is for you. Learn from established health entrepreneurs like JJ Virgin and digital marketing experts like Amber Spears about how you can make your company scalable, and how to stand out from the competition. Click here to apply for Health Entrepreneur f(x)™ now!